Everyone has different home buying/renting priorities so it’s really useful to have suburb data about aircraft noise, safety, schools etc when looking for a house, terrace or apartment. Searching for a new place to live can be very stressful, having useful information on hand will ease these worries and mean you waste less time. 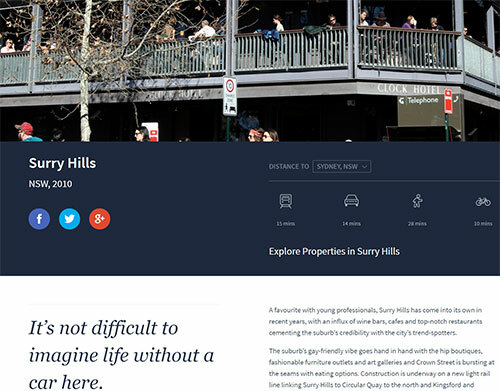 The following websites analyse suburbs and neighbourhoods across Australia for factors like public transport availability, flight paths, distance from schools, broadband internet availability, whether you can do your daily tasks without a car, the number of restaurants & cafes etc so you can decide if the area is suited to you as a single person, couple or family. Until the National Broadband Network (NBN) finishes being installed across Australia in a few years time it will be unclear what kind of Internet access will be available at any given address. 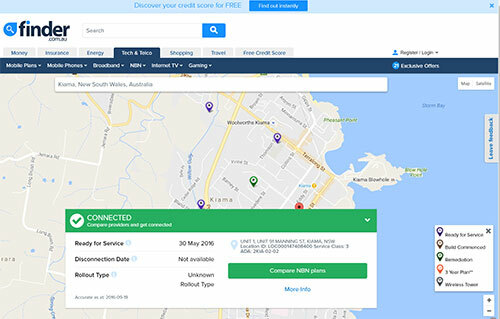 The official NBN website has reasonably accurate information about availability at an address but the Finder NBN Tracker website is also useful to give you an idea of when an address might get NBN access in the future. If you’re looking to rent or buy an address that doesn’t have NBN access you’ll probably have to connect to much slower ADSL internet instead. The ADSL 2 Exchanges website can tell you if ADSL is available at an address and give you an estimate of what the connection speed will be based on speeds reported to the site by website visitors. Airservices Australia has an excellent WebTrak site to visualise plane movements to/from airports in major cities across Australia. WebTrak uses information from air traffic control secondary surveillance radars to monitor aircraft that are within 50 kilometres of the airport or up to 30 000 feet above mean sea level (AMSL). Aircraft noise data is collected daily from noise monitors strategically located around communities close to the airport. Property seekers can spend hours researching council PDFs, government spreadsheets, crime stats, planning data, school performance info and much more. Microburbs gathers all this information in 1 place for everywhere across Australia and presents it in an easy to use format. 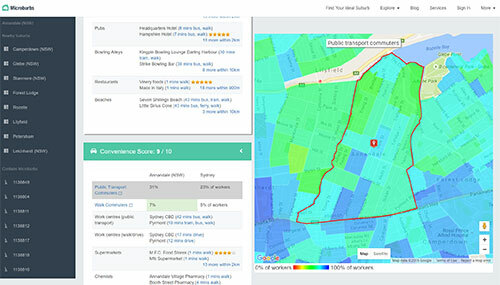 What makes Microburbs different is that allows you to search by specific stats-based criteria and drill down stats to community level, rather than just by suburb like other sites. Walkscore covers all of Australia and has a simple premise, it tells you how pedestrian friendly a suburb is. This factor that is very important to younger buyers/renters who choose not to have a car. Walk Score’s mission is to promote walkable neighbourhoods. Walkable neighbourhoods are one of the simplest and best solutions for the environment, our health, and our economy. 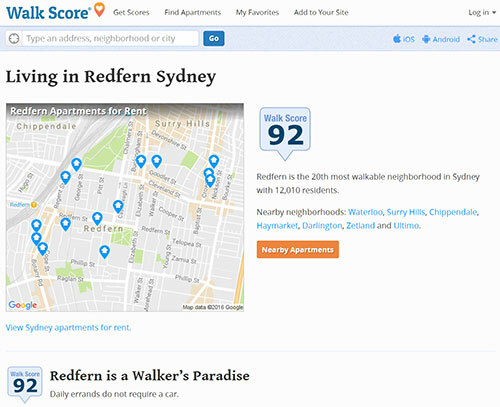 As an example the Walkscore guide to Redfern, Sydney says that Redfern is the 20th most walkable neighborhood in Sydney so daily errands do not require a car. 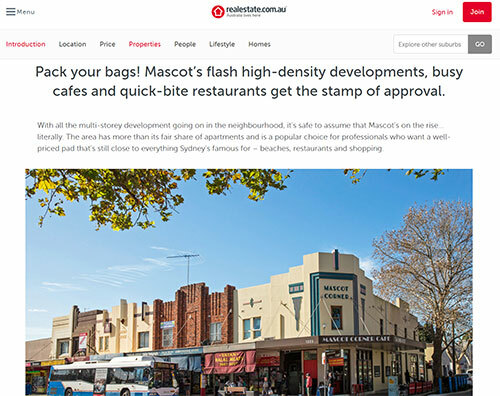 Interesting website features include how many restaurants, bars and coffee shops are located in a suburb as well as what people who live/visit there are tweeting about. There are about 314 restaurants, bars and coffee shops in Redfern so if you moved there there should be plenty of choices for places to eat out or get takeaway from. If you’re interested this is how Walkscore calculates it’s scores for walkability, public transport availability etc. The founders of Homely say that it was founded as an alternative to Australia’s other real estate websites, with the aim of creating a sense of community where a collection of real people like you share their opinions, ask questions and help each other. Old Listings is really useful because it has historical data about how much homes and apartments sold for/rented for in the past. Knowing how much past owners paid for a place or how fast rents have risen is really valuable information whether you’re in the market to buy or rent. 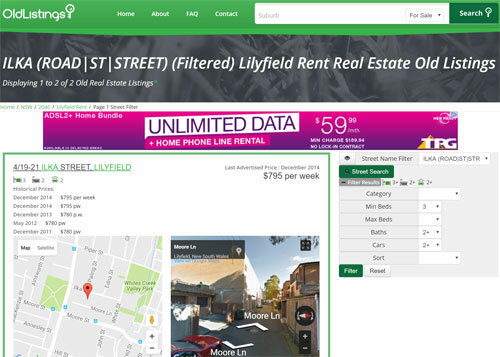 As an example have a look at the Old Listings guide to buying in Lilyfield, Sydney. 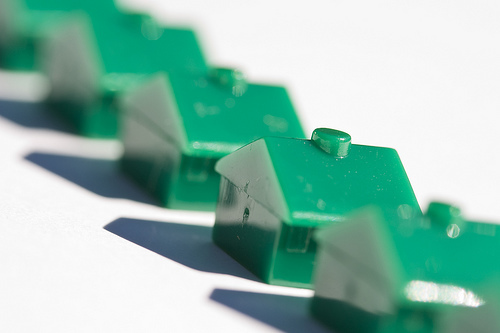 RealAs claim to fame is that they can accurately predict how much a property is worth. They say that their proven methods including crowd-sourced data (your own and other buyers’ estimates) combined with machine learning and predictive computing (the realAs algorithm) enables them to predict a price within 5-10%. To get an idea of how it works have a look at the RealAs guide to Marrickville, Sydney. 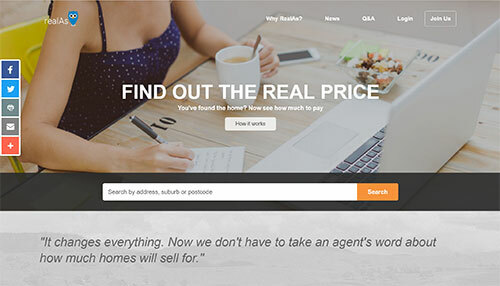 Domain and Realestate.com.au are the biggest real estate rental and for sale listings sites in Australia. Both have profiles and photos of some popular suburbs but have little data and lack in depth honest information compared to the other sites above. 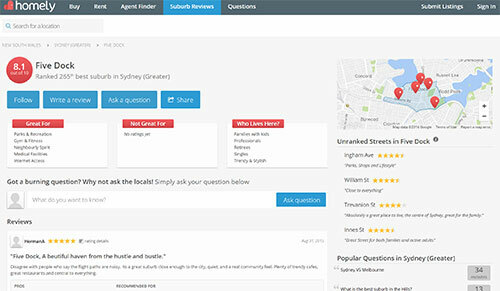 Realestate.com.au guide to Mascot, Sydney. CityHobo’s Shoe Index covers a selection of suburbs in Sydney, Melbourne, Brisbane, Adelaide and Perth. 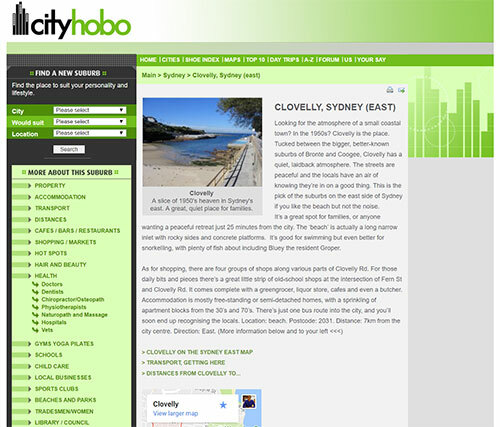 The site gives you the vibe of a suburb, for example the City Hobo guide to Clovelly, Sydney says if Clovelly was a shoe it would be Flippers because it’s well known as a popular snorkeling location. 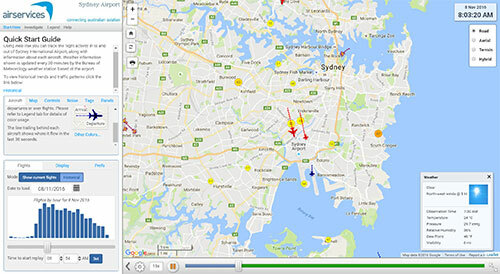 Cityhobo also highlights key suburb features such as Property prices, Transport, Nearby Schools, Accomodation mix etc. For example Clovelly is “mostly free-standing or semi-detached homes, with a sprinkling of apartment blocks from the 30’s and 70’s”. What a great resource – thank you 🙂 If I might suggest another way of checking broadband services. Back in June I set up StreetSpeed.info – a community based site which helps people monitor their own broadband service whilst also providing information on broadband performance via an interactive map. Importantly, it is providing information on actual speeds as reported and providing at street level. Anyway, please see what you think! a few more specific to homes like aircond and pet-friendly (for rentals). It’s a work-in-progress, so if you think it’s useful now, it’ll only get more useful as I add more data.